Dogs and cats are sensitive. They will pick up on your excitement and they will notice new things coming into the house. They’ll notice the redecorating and reorganizing. They’ll recognize the air of expectation and it can make them nervous because they don’t know what’s happening. Here’s how you can prepare them for the big day. 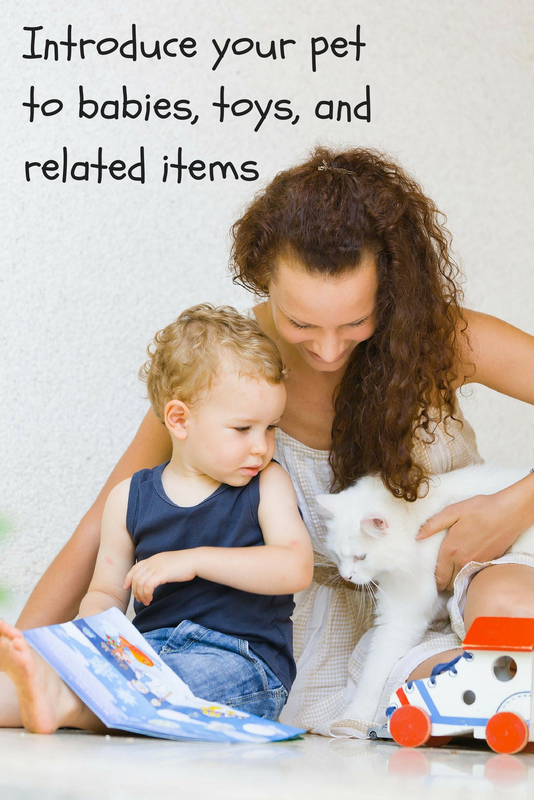 There are guidelines for baby prep of course, yet, every pet is different. Age, activity level, and past experience with babies or small children will all play a role in how your dog or cat reacts on the big day. To make sure things go smoothly, it’s a good idea to consider the following tactics in the months leading up to actually bringing home baby. Training -- How well does your dog adhere to the basics? If your dog is already rock solid on commands like sit, stay, come, etc. then great. If not, now is the time to start classes or work with a trainer. This will help the transition. You want a dog who will keep all four paws on the ground rather than jumping on you. When your dog has good manners, it reduces stress on you, on your baby, and on your dog. Cats can be trained through positive reinforcement as well. Of course, cat training professionals are not as prevalent as dog trainers, but we're happy to help you strategize! Introduce - If possible, introduce your dog or cat to babies. Let your pet see babies, and if possible, let them see you holding a baby. If your dog or cat remains calm, then praise your them, pet them, and even offer good treats. 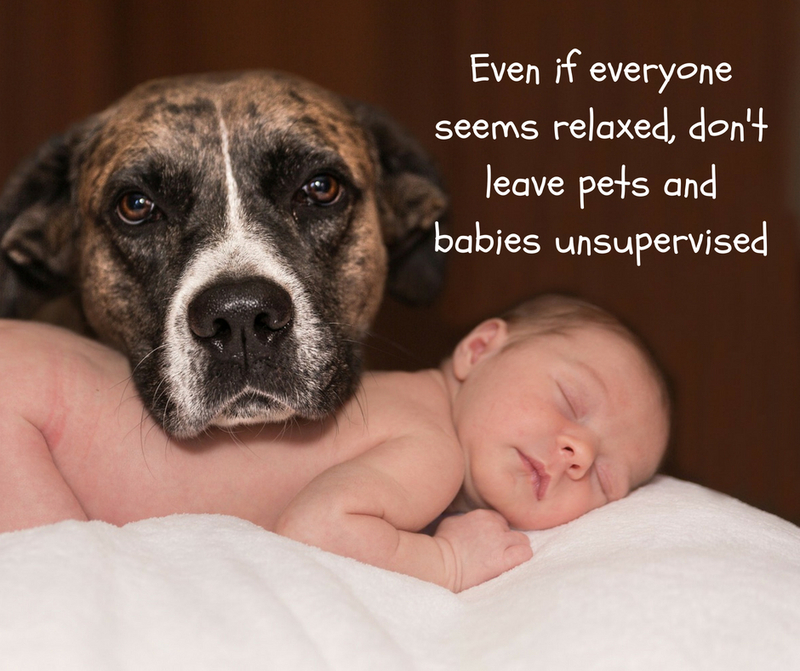 Your goal is to have your pet recognize that good things happen when the baby is around. Scent - As you know, animals are highly sensitive to smells. It’s a good idea to get them used to the smell of baby powder and other products you may use on or around your baby. You can put a little powder or lotion on you prior to your baby coming home. Do this regularly so your pets get used to the smell. When your baby does come home from the hospital, let your dog or cat sniff a blanket or piece of clothing that your baby’s worn. Sounds -- Babies make unusual sounds. Gurgling, crying, rattles and other toys are all part of the experience. You can find baby sounds on YouTube and play them around the house to help your pets get used to the new sounds. Shake the rattles and wind up musical pillows and stuffed animals. When you introduce the new sounds slowly, it’s not such a surprise to your pets later. Supervise - When you do bring home your baby, your pets will naturally be curious. That’s ok. After a couple of days, they may seem pretty relaxed about it. Yet, don’t leave your baby and pets alone together. It only takes a misplaced finger or claw to hurt one another. Stick to a routine - Pets love a routine. Yours is bound to change with the addition of the new arrival but try to keep your pet’s outings and mealtimes as close as possible to normal. That will help alleviate stress. Bringing home a new baby is filled with anticipation. Just like you’d prepare an older sibling, you can help make the transition easier for everyone by including your pets in the planning. Are there any tips you’d like to share for successfully introducing a new baby into a pet-loving household? Or, do you have any other questions? Contact us!